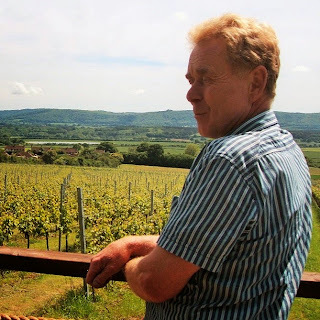 To celebrate English Wine Week (goes to their website) this week, I've (finally) updated my now 20-page ("and counting") mini-guide to English sparkling wines. This includes profiles of 15 exciting English wine estates, vineyards, wineries and brands and notes on their 'Champagne method' fizz ranges. Featuring (three new entries) Upperton, Brightwell and Hattingley Valley, as well as updates on Digby, Henners, Hush Heath, Jenkyn Place, Danebury, Gusbourne, Chapel Down, Bolney, Bluebell, Ridgeview, Knightor and Furleigh. Plus a few facts, figures and thoughts on where the English (and Welsh) wine industry is at with the latest on vintage 2014 etc. Available as a PDF mini-mag with pics emailed to you for just £3.50 - buy it by card or your own Paypal account (although you don't need one to do this or subscribe) by clicking HERE. Click here to read more about using PayPal, general T&C, your privacy etc. 2013 Domaine Marguerite Dupasquier Rully AOC blanc (100% Chardonnay, 13% abv) - quite classy wine actually showing a skilful mix of background toasty oak vs tasty buttery oaty characters with yeast-lees and nutty undertones (probably a bit of barrel-stirring on the winemaking front, as is the custom in much of Burgundy) vs a tighter crisper finish balancing the whole out nicely. Try with trout, smoked salmon, cured ham, certain cheeses even. £10.50 at Adsa, although I got half-a-dozen bottles on sale for a few quid less making it a fair bargain. 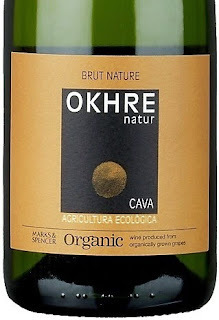 Spain: more "wines of the moment"
Okhre Natur Cava Brut Nature organic (12% abv: Xarel.lo, Macabeu, Parellada) - Penedès, Catalonia. 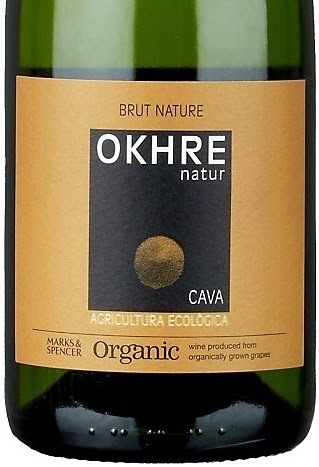 One of those nice 'n' dry "unsweetened" Cavas (unlike 'Brut' fizz in general whether Cava, Champagne, Prosecco, Sekt or from New Zealand, where a dosage is added containing some sugar after the yeast deposit is removed) with tasty almost savoury yeasty biscuit vs appley profile, oily and nutty vs crisp and refreshing. Unfortunately, it's now "out of stock" according to Marks & Spencer's site - hopefully not permanently - but cost £8.25 when I bought it for a Spanish-themed wine tasting. Albariño Adegas Gran Vinum 2013 (12.5% abv) - Rías Baixas, Galicia: £8 Sainsbury's 'Taste the Difference' or Signature Albariño 2013: £6 Asda. Two similar and characterful dry whites from the same area of cooler northwestern Spain, which remind you a bit of (ripe) Riesling with aromatic and oily notes then peachier fruit yet with refreshing bite too. The bright blue labelled Asda one comes with a screwcap and perhaps has the edge on the JS one, which makes it a good buy for the money. Simply Garnacha Rosé 2014 Bodegas Borsao (13.5% abv) - Campo de Borja, Aragón. Talking of good buys, for what could be called a "cheap" rosé - £4.69 at Tesco - this delicious simple dry and full-bodied rosado is pretty classic in style, with lots of floral and ripe red fruits and creamy vs crisp mouth-feel. Too easy to quaff considering the alcohol content: crying out for some tasty Serrano ham. Noster Nobilis 2010 La Perla del Priorat, Catalonia (14.5% abv: Garnatxa (Garnacha), Samsó (Carignan), Cabernet sauvignon). This is a fair bargain for £7.98 at Asda, considering many Priorat reds are expensive; lovely mix of savoury maturing fruit, sweet cherry, still structured tannins and smooth lingering finish, background oak adding a little texture too. Tempranillo Reserva 2009 Pagos del Rey (14% abv) – Ribera del Duero, Castilla y León. Another well-priced example of an often dear red from northern central Spain - £8.99 Tesco 'Finest' label - this was attractive and warming, seemed older than its year's seniority over the Priorat, colour and development wise, more obvious oak perhaps but has some nice smooth savoury fruit. Drink now. Caudum Selección Especial 2009 Bodegas Larraz - Rioja (14% abv: old vine Tempranillo). I've tasted this seductive red a couple of times before (goes to Larraz winery profile), and it's developing very nicely: rich, extracted, concentrated and structured with light coconut oak on nose and palate; lush, dark and spicy though and still has a hint of freshness and youth about it. Quite serious and classy Rioja. €15 in Spain; Zefino Wines in England might be shipping some in the future I'm told. Bodegas Muriel Rioja Reserva 2010 (13% abv: Tempranillo, 36 months in total barrel and bottle before release). Something of a regular Co-op favourite, which is £6.99 on offer at the moment, this is relatively light but pretty classic Reserva Rioja style from this reliable winery: oaky and smooth with smoky vs sweet berry fruit and alluring meaty/cheesy maturing tones beginning to show through. Apostoles Palo Cortado Viejo Aged 30 Years, Gonzalez Byass (20% abv: Palomino, Pedro Ximénez) – Jerez, Andalucía. Quirky complex full-flavoured matured sherry, which is difficult to "categorise" in that (I think) it's a blend of aged Fino/Amontillado (therefore dry) and a splash of wine made from sun-dried 'PX' grapes adding a hint of sweetness, although it tastes reasonably dry and dark roast nutty with tangy lingering flavours... A one-off really, best tried with mature cheeses or pecan pie?! £19-£21 for 37.5cl bottle: selected Tesco stores, TheDrinkShop.com; €23.49 from O'Briens in Ireland. "You wouldn't be surprised to hear that most (over three-quarters) of what the Languedoc produces and sells is red wine – nothing earth-shattering in that statement – but an obvious plus-side to having lots of Mediterranean red varieties planted, is the potential to make increasing amounts of rosé to match a growing thirst for the pink style. Couple this with the right technology and winemaking for producing good (dry) rosé and a different way of thinking at the outset - i.e. preselecting certain vines, plots, picking dates for this style rather than it being a second-choice by-product - and things are looking up. A massive quantity of decent, often varietal, rosé is already being syphoned off into IGP 'category' wines (used to be Vins de Pays - these weren't available for tasting for some reason); and I've already talked about what the catch-all Languedoc AOP has to offer on the red and white front – the same applies to rosé. There are also sometimes high-quality rosés coming from just about all the other Languedoc appellations – rosé now holds a 12% share – some of them better known than others. (apologies for the crap photo). Corbières, that vast hilly region sitting on the Languedoc's western side snuggling up along the top of the Roussillon, sits in the former camp. And here, good rosé isn't anything new, there just seem to be more and more producers making very nice ones: full-bodied, fruity, dry and crisp and essentially based on Syrah, Grenache and Cinsault with the odd dollop of Mourvèdre or the 'other' Grenache varieties, white and grey. Corbières 2014 rosés from these wineries particularly caught my eye at last week's “Terroirs et Millésimes en Languedoc” showcase held in the region: Château Beauregard-Mirouze, Terre d'Expression, Château Saint-Estève, Château les Palais, Château Ortala and the star Clos Canos (one of the winemakers credited with making the first serious rosés in the region); all of them sitting comfortably in the £5.99 to £7.49 bracket. Staying out west, lying to the north of Carcassonne, the Cabardès appellation still has something of an identity problem, and the best reds usually come from the same three or four names; but I was nicely surprised by the rosés on offer, all from the fresh and zingy 2014 vintage. Like the reds, these are all variations on a theme of Cabernet Sauvignon, Cabernet Franc, Grenache, Syrah, Malbec and Merlot with some Cinsault. These four rosés would hit similar £5-£7.50 price points, except a grander more ambitious part barrel-aged rosé by Vignobles Lorgeril / Château de Pennautier (£8.99): Château Ventenac, Vignerons du Triangle d'Or and Château Jouclary. Moving east to Minervois, another sweeping red wine heartland with up-and-down quality, where there also appears to be an accelerating trend to making big dry rosés. 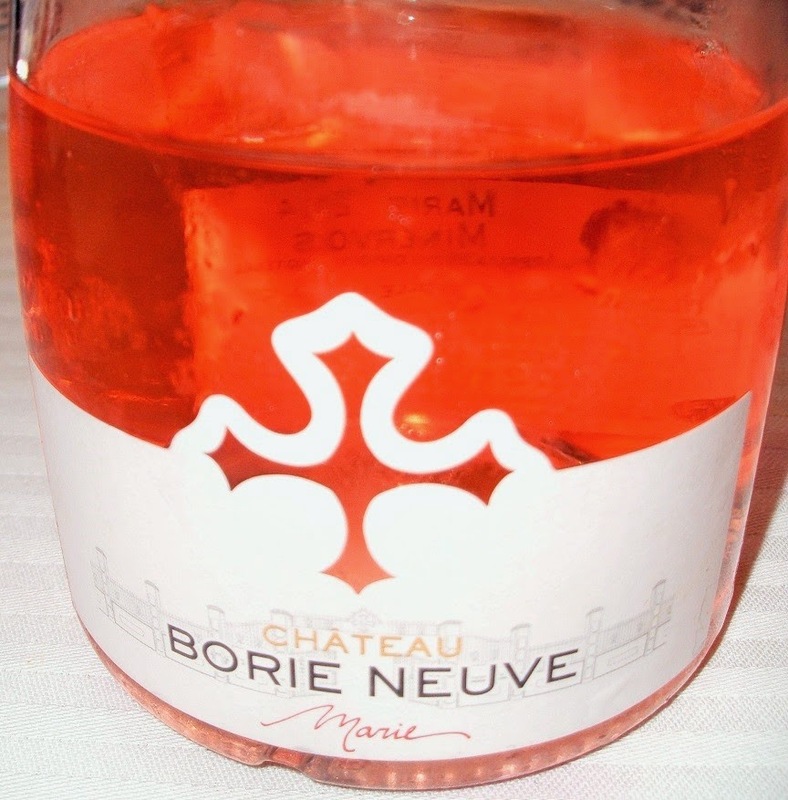 Quite a few tasty ones to be found here from the just-released 2014 vintage, such as examples from Château du Donjon, Château La Grave (both £6.50-£7), Château Borie Neuve (dearer at £10 although very good and comes in a smart heavy-bottomed bottle: photo above) and Château Sainte Eulalie (£6.29), built on Cinsault, Grenache and Syrah. Still moving eastwards, the neighbouring sprawling Saint-Chinian region and then more compact Faugères, to the north of Béziers, both home to some of the Languedoc's best red wines, have integrated rosé into their respective appellation make-ups. And many producers in both areas are taking it very seriously, having tried several delicious and altogether more structured examples last week. These tend to be on the slightly dearer side though (approx retail £6.99-£9.99), perhaps because of lower yields or not wanting to have too much of a price disparity between their reds (and now whites), but would suit independent merchants who could hand-sell them. Here are a few names that did it for me. St-Chinian (all 2014): Château Viranel, Château La Dournie, Château Bousquette, Domaine Moulinier, Laurent Miquel / Château Cazal Viel and Château Coujan (one of the few with majority Mourvèdre). Faugères: Domaine des Trinités, Domaine du Météore and Domaine l'Arbusselle among others..."
All rights Richard Mark James for Harpers. € prices are cellar door - see above in the text for approx UK retail prices. Château Le Luc - pale Provencesque style, nice and zippy and crisp with it. Château St Martin des Champs Camille (Syrah, Grenache) - Steely and lean palate at first vs light red fruit notes, has fair depth though with good length and bite. Quite dear: €10. Domaine Moulinier (Syrah, Grenache) - Very lively and juicy with red fruit and rose aromas, super crisp 'mineral' finish. Yum. €5.80 good value. Domaine du Météore Les Léonides 2014 - crisp and steely with subtle floral red fruits, lively dry finish; also quite stylish. Probably about £9-£10 in the UK. Domaine l'Arbussele Envol 2014 (GSM, 13% abv) - lively and aromatic with red fruits and roses, tight and zingy palate with delicate yet long finish. Very nice dry rosé: this was his first vintage. More from these Faugères producers to follow. These three were my favourites from a small line-up of 2014 rosés tasted outdoors - in the shadow of the Peak so to speak - in a hurry: Château Valcyre (mostly Syrah + Grenache - about €7), Mas Bruguière (Syrah 50%, Mourvèdre 40%, Grenache 10% - €8.50) and Pierre Clavel's Mescladis (60% Syrah, 20% Grenache, 20% Mourvèdre; organic - €7-€7.50, UK £9.60). Clos des Nines Pulp 2014 Pays d'Oc (Grenache, Cinsault) - good combo with chorizo type saucisson. Gérard Bertrand Château La Sauvageonne 2014 Languedoc (Syrah and Grenache mostly; 6 months in barrel) - a tad oaky, but really came into its own with the lobster ravioli in bisque sauce served at Le Jardin des Sens in Montpellier (name dropping, moi). Hopelessly expensive though at €39! L'Emothion d'Encoste 2013 Languedoc - still restrained at first (although very cold), classic dry rosé style which was an admirable match for a variety of charcuterie. "Is there a perfect cheese wine? Depends on which cheese and what wine, probably... We'll taste and talk about half-a-dozen different wine styles - sparkling, red, dry white, rosé, sweet and fortified - picked from around the world, and attempt to pair them up with a small selection of Irish cheeses..."
"What do we mean by 'New World' wines? We'll spend the day tasting and talking about a dozen or so classic styles, red white and rosé, mostly from wine producing countries in the Southern Hemisphere such as Australia, New Zealand, Chile, Argentina and South Africa; as well as choice examples from North America... Showing that 'New World' is, apart from its patronising colonial tone, just as much about attitude perhaps as it is about location and climate. And then what about certain New World producers in cooler regions, who are deliberately trying to make more 'European' wine styles?! The day will be nicely broken up by lunch at the hotel..."
Or get in touch with me via the contact form on the right. You can also pay by card using Paypal (you don't need a Paypal account for this) - select the tasting below and click on the button, which takes you to PP's secure payment page (you can amend quantity of tickets there too). Following on from my previous post (read it here or scroll down) with some info and comments on the catch-all Languedoc appellation, featuring a dozen red recommendations tasted last week in the region; the spotlight is now turned on to my selection of Languedoc AOP white wines from the blind line-up. A few observations: there are some enticing blends here, and I was particularly taken by wines majoring in the Vermentino variety in the mix. A true Med white grape that could prove to be one of the most exciting in the Languedoc, along with Bourboulenc, Picpoul, Roussanne and Clairette for instance. 2013 was obviously a lovely vintage for whites - many of these were still tasting quite young - and the 2014s are naturally very zingy and fresh: another good white vintage by the looks of it. Generally, I'm pretty impressed by the progress made on the white Languedoc front (more to follow on Picpoul de Pinet and whites from other appellations). € prices are cellar door: the whites tend to be similar to or dearer than the reds though, probably a yield / production cost thing (or fashion marketing...). 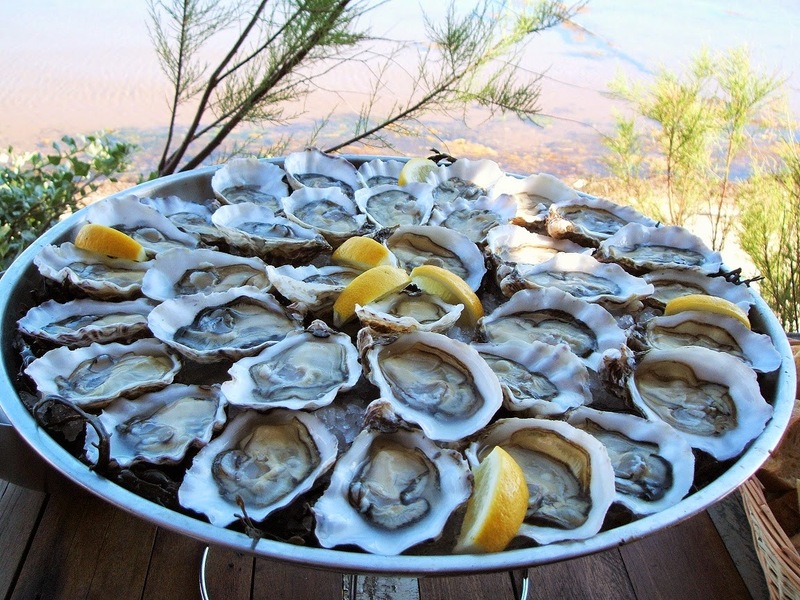 A Languedoc white with fresh oysters from the Bassin de Thau? Calmel & Joseph 2013 (Marsanne, Roussanne, Grenache blanc; no oak) - Zesty mineral style, still tight and crisp for a 2013, developing honeyed notes vs 'chalky' texture, quite elegant and nutty on the finish. €7 value. Prieuré Saint-Jean de Bébian 2013 (Roussanne, Clairette, Picpoul, Grenache blanc; 12 months in barrel on the lees with stirring) - Nice zesty lees character, quite tight and complex with long zingy bite vs shades of richer exotic fruit. Good although dear: €27. Jeanjean/Domaine du Causse d'Arboras 2013 '320' (Vermentino, Roussanne, Marsanne; organic, 14% abv) - Quite intense and lees-y with subtle almost grainy tones (no oak though according to the tech sheet? ), tight elegant and classy finish despite a bit of weight and richness, turning more exotic and spicy vs that lighter 'mineral' touch. Expensive but they don't produce much apparently: €28 or approx £17.99 UK retail. Virgile Joly 2014 Le Joly blanc (Grenache blanc, Roussanne; organic) - Closed up at first, turning to banana and exotic peachy notes vs lees-y and intense, very crisp and long, needs time. Reasonable price too: €7.20. L'Emothion d'Encoste 2013 blanc (12.5% abv) - attractive ripe and creamy characters with a little richness and exotic fruit vs lighter finish, drinking nicely now. Château Hospitalet Grand Vin blanc 2013 La Clape (Vermentino, Roussanne, Viognier; 8 months in barrel with lees stirring) - a little oaky at first but it's rich and lees-y with enticing oat and nut flavours, powerful but not over the top. Good with lobster ravioli in a bisque (as you do). Typical 'grand' Gérard Bertrand price: €25.